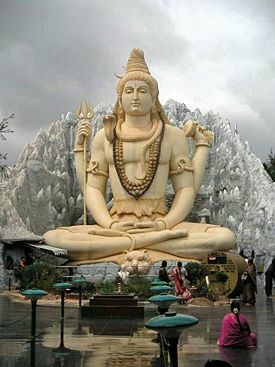 Shivaratri is the day of Lord Shiva. Shiva is the lord of meditation and therefore the lord of awakening. Shiva Tatva means to be awakened. Shivaratri is thus an occasion to awaken one’s self from all sorts of slumber. Shivaratri is not a night to be slept over. One should try and be up through the night. It signifies being aware of everything you have and being grateful about it. Be grateful for the happiness which leads to growth, and also for sadness which gives a depth to life. This is the right way of observing Shivaratri. For the pious, the following method of Shiva worship is advisable â€“ sit down in lotus posture, do some Pranayam to stabilize your breath, then indulge in Dhyana, followed by chanting of “Om Namah Shivay”. It is the greatest mantra and the devout should drown himself in its Kirtan. Shivaratri worship leads to fulfillment of a devotee’s wishes. There are certain days and time frames in a year that enhance one’s mental and spiritual faculties. In such times, whatever one wishes, materializes. Shivaratri is one such day. All this is very scientific. Going to temples on this day is OK but you should remember that Shiva is everywhere. The meaning of Kailasa (legendary abode of Shiva in Himalayas) is celebration. So where there is happiness and celebration, Shiva is present. Whether in Sanyasa or Sansara, you can’t escape Shiva. Feeling his presence all the time is the essence of Shivaratri. That is the real Sanyasa. No worship is complete without offering something to the deity. Shiva is a very simple lord, he is innocent â€“ bholanath. One just needs to offer bel-patra to him. But in this simplicity is a deep message. Bel-patra offerings signify the surrender of all three aspects of one’s nature â€“ Tamas, Rajas and Sattva. You have to surrender the positives and negatives of your life to Shiva and become arefree! The greatest offering is your self. To offer one’s self is the key to happiness in life. Afterall, why do you get sad? It is mainly because you are not able to achieve something in life. At such times you should surrender everything to the all knowing God. The greatest power is in surrender to the divine. It’s like a drop owning the ocean. If a drop remains separate, it will perish. But when it becomes the ocean, it is eternal! Read more about legend of Shiva.